Dear Graduate Students, maybe this is going to be your last year at McGill, maybe not. 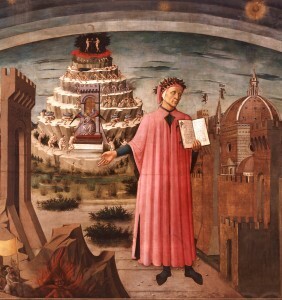 Maybe you are graduating and thinking about what you can do after having gone through the Hell of your thesis and finally got outside of it, on the peaceful and lightened sand of Dante’s Purgatory. If that is the case, then you may find this post interesting. Before writing it, I was thinking about what to publish, then I told myself: “Hey, you are an international student and you took one of the most important decision of your life, let’s talk about how you choose where to go and what to do!”. Here it is then, a few words about people and things that may help you in choosing which path you want to take to climb the mountain of the Purgatory. Then, if you are looking for something different that may taste of Italian red wine, German beer or hot Spanish Paella (and no, it is not your hanger that make you read words about food here, but a metonymy), then you may want to have a look at this portal, where you can have a worldwide view of academic programs. There you can find a lot of different programs: Masters, PhDs, Bachelors, Online Courses, Short Courses, Preparation Courses and so on. This portal has a kind of personal value to me. It is actually where I realized how many opportunities to study abroad I had, and you have. It was really useful and a first guide in the process that led me to my PhD in Montréal. Think that when I started my quest I was working in London and I found this portal thanks to a Polish roommate! Yes, I was lucky at the end, but remember that at McGill there are many people ready to help you on your path. In conclusion, this was a short post, a quick shot, but a long path is waiting for you, up to the Eden! Next Post Des vacances? Quelles vacances?